The balance of power in British football just shifted a little. It may not have moved decisively in favour of supporters yet, but there is no denying the significance of tonight’s announcement by FSG. It amounts to a sensational climb down by the owners and their apology is a strong one. It would be churlish not to acknowledge their speed and decisiveness in addressing our concerns. Nor is there any need to question the sincerity of the apology. We have been asking them to listen more and they have. Yes it would have been better to have avoided this mess in the first place, but we are where we are. However, in recognising this as a positive step by the owners, I must reserve my fullest possible praise for Sprit of Shankly and Spion Kop 1906. Make no mistake John W Henry, Tom Werner and Mike Gordon would not have issued that statement had these groups not organised the walk out. The price rises would still be going ahead. We must also heap praise on those supporters who made a stand and walked out on 77 minutes. I was one of them and I can attest to the fact that it was a very difficult decision. No true Liverpool supporter leaves a game thirteen minutes early unless there are bigger issues at stake. We didn’t do it for ourselves, but for all supporters, present and future, local or out of town. I have no gripe with those who didn’t walk. I know many of them were genuinely torn and in their hearts they love their club. Many of them simply couldn’t bring themselves to ‘abandon the team’. Hopefully any disappointment they felt watching people like me walk out will now be tempered by the knowledge that our protest wasn’t in vain. Maybe if the need for further protest should arises again, they will reconsider. To those who actively sought to ridicule, condemn or patronise those of us who made a stand, I can only hope that they now recognise their mistake. Never again should we be told that protesting won’t work; that standing up as one is pointless. Nor should our right to challenge the club when our interests are threatened be questioned. It should now be universally accepted that protesting in defence of a fair deal does not equal disloyalty, rather it is a sign of our passion and commitment to each other. We need to learn all of these lessons and more. However, the greatest of them should be an acceptance by all of the the need for robust and independent supporter representation. In two years the whole issue of ticketing will be back on the agenda, what then? 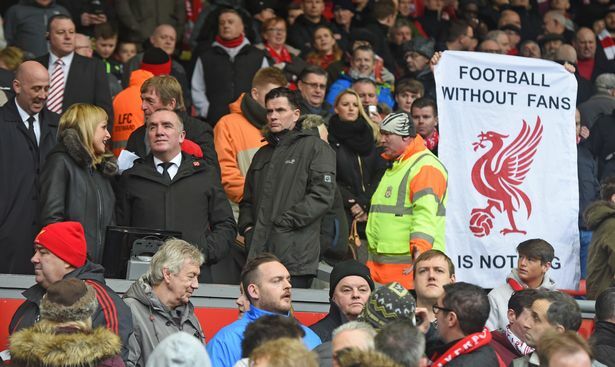 There are other issues too, like away travel, atmosphere, disabled supporters access and fans involved in crushing outside Anfield Road turnstiles. If we are to avoid the need for further damaging protests and disagreements in the future, supporters must have a stronger voice at board level. There now needs to a be complete review of the role of the supporters committee. It needs to be given a stronger voice and even voting rights. Would we have found ourselves locked in such a damaging power struggle with the ownership, if we had a seat at the top table from the beginning? I believe not. This is surely the elephant in the room. FSG have taken a bold step in admitting they got the ticketing plan wrong. It may go some way to repairing the damage done over the last week, but it is just the beginning. They must now seize what is a last chance to restore the trust of the supporters. In their apology they made it clear that they value the unique relationship between club and fans, built up over years. Those are fine words, but what we need now is action. Liverpool FC now have a chance to set a new benchmark in supporter relations. They could do something truly unique in the history of the English game. They could move now to ensure meaningful supporter representation, with voting rights, at board level. This would ensure that the interests of fans were being heard on a day to day basis. It would tear down the barriers between the board and the stands and usher in a new era of respect and trust. Such an arrangement would be unprecedented in the history of the club and would go further than Shankly’s famed ‘holy trinity’. We would be truly one club fighting for a common goal. If the will is there, nothing is impossible. If there are legitimate barriers to this, let’s hear about them and together lets set about removing them. We have been told many times that things are beyond our reach. When have we ever let that deter us? This week Liverpool supporters continued to blaze a trail in grass roots campaigning. They perpetually reach new heights and are a beacon to fans all over the country. 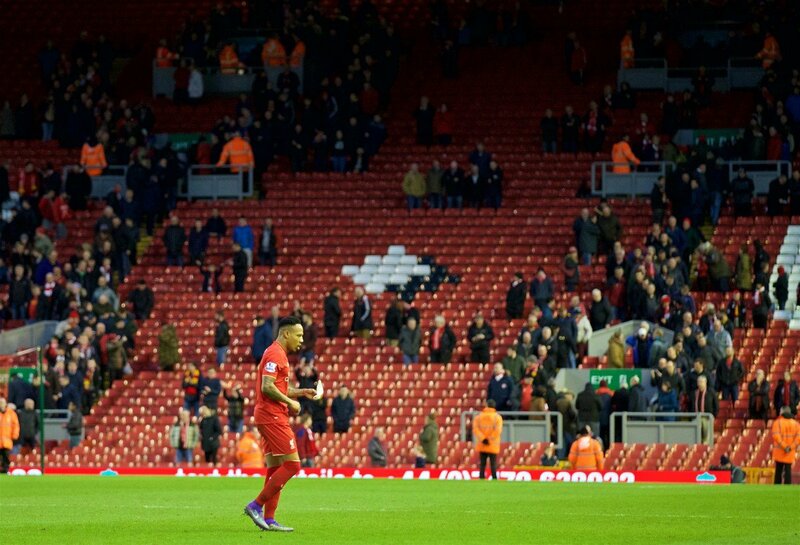 FSG too have shown that they are prepared to listen and reconsider their plans when necessary. This should be the basis of a new accommodation between supporters and owners. They just need to take the next step. Supporter ownership has been a long term goal of Spirit of Shankly since their inception. 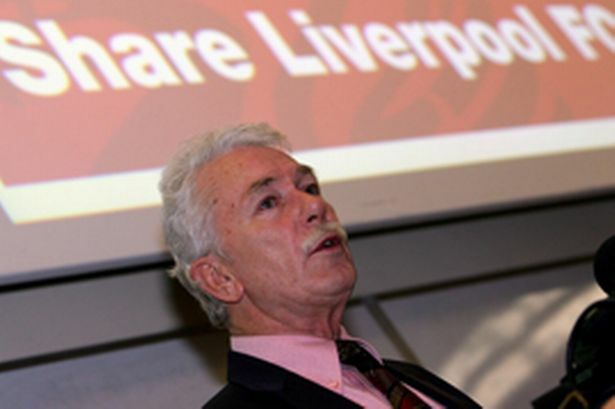 Initiatives like ‘Share Liverpool’ sadly failed to take off. Maybe the dream of a club owned by the fans is distant dream today, but fans on the board shouldn’t be. This in my view is that next step. Will FSG have the courage to take it.